2. He was born in Spanish Town, Jamaica. 3. His first stage name was "Little Chronicle". 4. He wrote his first song "Rice Grain" at age five. 6. His father exposed him to music from a very tender age. 7. He started producing and making riddims while he was still in High School between the ages of 15 and 16. 8. He started his official recording career at the tender age of 11. 9. He attended St Catherine High School in Spanish Town, Jamaica. 10. His first recorded track was a Gospel track with Danny Browne, but it was not released. 11. He did background vocals for Lutan Fyah and building riddim for artiste such as Konshens. 12. At age 14 he builds the Freezer Riddim for Ice Box Records. 13. In 2009, he joined up with Romaine 'Teflon' Arnett Of Zincfence Records. 14. In 2013 he had hits with "Smile Jamaica" and "Here Comes Trouble", and he toured the United Kingdom (including a BBC 1Xtra concert in Leeds) and the United States with his Zincfence Redemption Band. 15. In March 2013 he traveled to Kenya, where he has a large fanbase, as a Peace Ambassador during the country's general election, and performed at the Tuko Rada Peace Concert in Nairobi. 16. In July 2014 he performed on The Tonight Show Starring Jimmy Fallon on US network NBC. 17. His Dread & Terrible was released on April 1st, 2014 and topped the Billboard Reggae Albums charts. 18. In May 2014 he won Culture Artist of the Year, Best New Artist, and Entertainer of the Year at the Linkage Awards in New York. 18. In September 2014 he was nominated for a MOBO Award in the Best Reggae Act category. 19. In 2014 he also won he won awards for Best Song (for "Smile Jamaica") and Best Music Video (for "Here Comes Trouble") at the 33rd International Reggae & World Music Awards. 20. He founded his own ZincFence Recordz production house along with producer Romain "Teflon" Arnett and co-producer/engineer Ricardo "Shadyz" . 21. In January 2015, Chronixx appeared on "Belly of the Beast" a song which featured on American rapper Joey Badass debut album B4.Da.$$. 22. 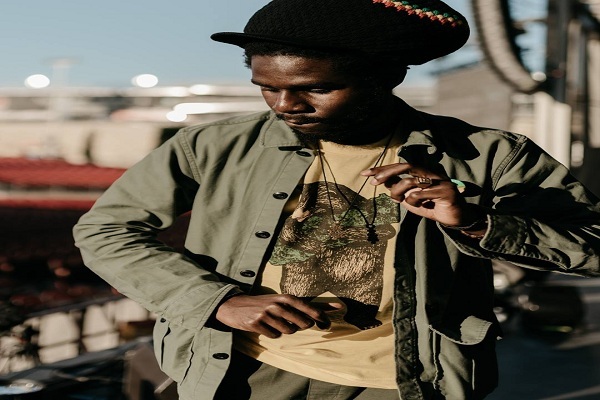 In June 2015 Chronixx performed at the Glastonbury Festival as a part of a partnership with EE. 23. His first official album Chronology was released on June 30, 2017, on the Zincfence Records Label. 24. He has so far released two EPs Hooked on Chronixx and Dread & Terrible. 25. He performed in Jamaica on December 1st at Mass Camp, Kingston, and December 2nd at Pier One, Montego Bay to sold-out venues.